For Fall 2015, Adidas Outdoor debuts their first set of hiking boots with Boost technology. The boots join an expanded line of Boost loaded trail runners. First appearing in Adidas road running shoes, Boost provides more energy return than any other cushioning material in the industry–this means the new hikers and trail runners are ideal for long-distance mountain trails or runs. PCT anyone? A couple of years ago, Adidas decided to rethink midsole material and completely scrapped the standard EVA foam found in most running and hiking shoes. Instead, the company took a thermoplastic polyurethane (TPU) material and created a new cushioning layer made from 2,500 little plastic pebbles fused together with steam and pressure. The result is a midsole material that is springy and offers better cushioning than traditional foams. 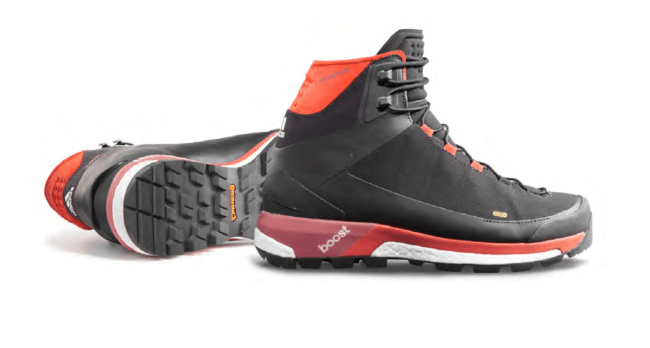 The new Boost hiking boot collection includes two styles for men–the Terrex Ultimate Boost Climaheat ($200, pictured top) and a more urban look, the Boost Urban Hiker ($180). The former is a waterproof hiking shoe loaded with PrimaLoft insulation for warmth and featuring a Continental rubber outsole for super grip in winter conditions. Probably the coolest new trail runner in the Fall 2015 Adidas Outdoor Boost collection is the Adizero XT Prime Boost ($200)–a lightweight trail runner utilizing a full knit upper for added comfort and fit. Additional features include durable ghilly lacing, a protective toe, and a lugged Traxion outsole. The Terrex Boost GTX ($200) is basically the waterproof version of the Terrex Boost ($160) due out this spring. 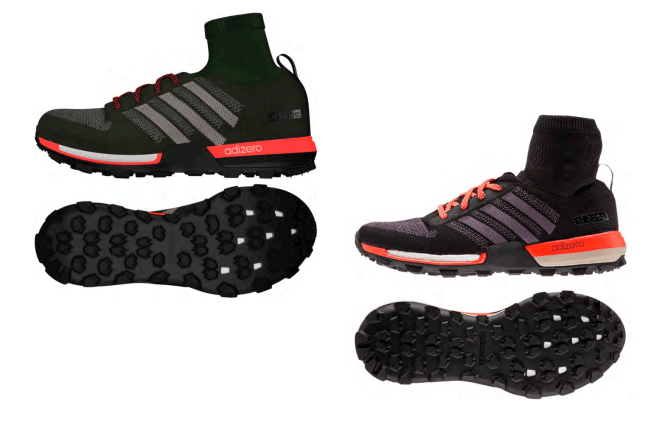 Adidas added a Gore-Tex membrane to keep your feet warm and dry, as well as a Continental rubber outsole for grip over wet terrain. Anyone out there tried Boost? What do you think?